Photo: Straight ahead to Laos. What would you like to know about Thailand's visas and border crossings? Thailand has a multitude of visa options and requirements -- many of which change with alarming frequency. You can go to the horse's mouth at the Thai Ministry of Foreign Affairs for the full (though not always up-to-date) spiel. Read on for an overview of the options for entering Thailand. If you're entering Thailand for tourism and hold a passport from any of the 57 countries listed below, you're eligible for a free visa-exempt stay in Thailand! The only requirement is a passport with at least six months validity, but allowed lengths of stay vary by country, so read on to see exactly what you're eligible for. Citizens of these countries get a free 30-day visa-exempt stay if arriving to Thailand by air or land: Australia, Austria, Belgium, Bahrain, Brunei, Canada, Czech Republic, Denmark, Estonia, Finland, France, Germany, Greece, Hong Kong, Hungary, Iceland, Indonesia, Ireland, Israel, Italy, Japan, Kuwait, Liechtenstein, Luxembourg, Laos, Macao, Malaysia, Monaco, Mongolia, Netherlands, New Zealand, Norway, Oman, Philippines, Poland, Portugal, Qatar, Russia, Singapore, Slovakia, Slovenia, Spain, South Africa, Sweden, Switzerland, Turkey, United Arab Emirates, United Kingdom, United States and Vietnam. Citizens of these countries get a free 90-day visa-exempt stay if arriving by air or land: Argentina, Brazil, Chile, Peru and South Korea. Citizens of Cambodia get a free 14-day visa-exempt stay if arriving by air or land. Citizens of Burma also get a free 14-day stay, but only if arriving by air. In recent years, Thai authorities have cracked down on back-to-back out/in border runs -- i.e. crossing the border and attempting to cross back into Thailand on the same day to get a fresh visa-exempt stay. This practice has been totally banned at the Mae Sai border crossing with Burma, and we would not suggest trying it at any crossing more than once over the course of a year. The crackdown has not extended to out/in runs by air to the same extent, though we also would not advise flying out and immediately back into the country repeatedly. In late 2016, Thai authorities went further by introducing a rule that bars foreigners from crossing into Thailand overland and receiving visa-exempt stays more than twice in one calendar year. If strictly adhered to, this restriction will disrupt the plans of some regular travellers, who will now be forced to acquire a tourist visa or arrive by air if entering Thailand for a third time after already entering overland twice on visa-exempt stays, regardless of how much total time is spent in Thailand. If you're an honest traveller hopping from country to country and, for example, you plan to spend less than 30 days in Thailand after first arriving by air, then go to Laos for a week, then back to Thailand for 10 days, then to Cambodia for two weeks and back to Thailand to catch a flight home, you should not have any problems using only visa-exempt stays to enter Thailand. However, we strongly suggest acquiring a tourist visa if attempting to re-enter Thailand overland for a third time on one trip. If you plan to travel around Thailand for more than 30 days and then visit another country before returning to Thailand for, say, another week, you should get a single-entry tourist visa for your first stretch in Thailand, and then re-enter on a visa-exempt stay. Citizens of these 19 countries are eligible for a visa on arrival that's valid for 15 days and is different from the visa-exempt stay outlined above: Andorra, Bhutan, Bulgaria, China, Cyprus, Ethiopia, India, Kazakhstan, Latvia, Lithuania, Maldives, Malta, Mauritius, Romania, San Marino, Saudi Arabia, Taiwan, Ukraine and Uzbekistan. This visa can be applied for and received same-day at all international airports and most border crossings. It costs 1,000 baht and, according to the official line, applicants must provide a 4x6 cm head-shot photo along with proof of onward transport and proof of funds exceeding 10,000 baht. Unless holding a diplomatic passport, citizens of all countries not eligible for a visa-exempt stay or visa on arrival must secure a Thai visa before departing for Thailand. If the above options aren't going to work for you, then you need to get a Thai tourist visa. The traditional type of tourist visa is valid for 60 days and can be extended for a further 30 days once you are in-country, giving you a 90-day stay all up. It costs around US$30 and is a single-entry visa. It's valid from date of entry, so the 60-day clock starts ticking on the day you enter Thailand. The visa becomes void if you do not enter Thailand within 90 days from the date of issue. Single-entry tourist visas can be applied for at virtually any Thai embassy or consulate worldwide; options within Southeast Asia include: Vientiane, Savannakhet, Kuala Lumpur, Penang, Kelantan, Singapore, Phnom Penh, Ho Chi Minh City, Hanoi, Yangon, Jakarta, Denpasar (Bali), Manila and Cebu City. It generally takes two business days to apply for and receive a single-entry tourist visa. Thai embassies and consulates close on public Thai holidays and the public holidays of whatever country they're in, so do check for holidays before making concrete travel plans. At the moment there is no written rule saying that you can't use tourist visas back to back. So you could conceivably get two consecutive tourist visas to give you a full six months in Thailand (with extensions and leaving once to get a new visa). However the Thai authorities increasingly frown on this and some long-stayers have been slapped with a "red stamp" in their passport that bars them from receiving another tourist visa for the rest of the year. Reports in late 2016 have also suggested that, when attempting to re-enter Thailand, an immigration computer system is now "flagging" foreigners attempting to stay in Thailand for more than six months over the course of a year using tourist visas and/or visa-exempt stays. One person reported being denied entry after arriving at one of Bangkok's airports despite possessing a valid unused tourist visa (it was his third in a row plus extensions). In short, you are pushing the system if you apply for back-to-back tourist visas. Try to at least spend a week or two in a different country before applying for a second or third tourist visa in a row. You may be asked to provide proof of adequate funds, proof of hotel reservations and/or proof of onward transport if applying for a new tourist visa immediately after the last one expired. These extra requirements tend to vary from embassy to embassy. Though nothing is certain, the Thai embassy in Singapore is usually strict, while Savannakhet's Thai consulate is usually more lax. As of late 2015, the old double- and triple-entry Thai tourist visas have been replaced by a Multiple Entry Tourist Visa that potentially bags you a total stay of six months in Thailand. However it requires you to spend no longer than 60 days at a time in the country, with as many re-entries as you like over the course of the six months. In other words, you would need to do same-day out/in border runs every 60 days to fully utilise the alloted six months. It's valid for six months from date of issue, so the clock starts ticking the moment the visa is issued, not when you enter Thailand. The METV supposedly costs 5,000 baht, though exact prices may vary from embassy to embassy. Exact requirements may also vary but will likely include showing proof of employment and proof of bank balance exceeding US$7,000. This visa can only be applied for at Thai consulates and embassies within your home country, so unless you can prove legal residency in Laos, for example, you cannot apply for a METV in Vientiane. Visa-exempt stays and tourist visas can be extended once at an immigration office in Thailand for a further 30 days. The cost is 1,900 baht, and an immigration office can be found in most provincial capitals throughout the country. Some of the most widely used are Bangkok Immigration, Chiang Mai Immigration and Phuket Immigration. Overstaying your allotted time in Thailand results in a 500-baht per day fine that caps out at 20,000 baht. If you overstay, you will be required to pay the fine at the immigration checkpoint upon exiting Thailand. Brief periods of overstay do not result in a travel ban to Thailand and are generally no big deal once you get to a border crossing or airport provided you have the cash to pay the fine. But if a Thai police officer discovers that you're on overstay (for instance at a road checkpoint), you may be detained and deported after paying the fine. Overstaying for more than a few months now results in a long-term travel ban to Thailand. The free visa-exempt stay, visa on arrival and traditional tourist visa are all single entry. For example, your 60-day tourist visa will become void even if you leave Thailand after only five days. The only way to keep a single-entry visa valid when leaving the country is to pay 1,000 baht for a re-entry permit at an immigration office or the immigration section of an international airport before departing Thailand. Otherwise, go for a METV or use more than one visa-exempt stay. Do you need proof of onward travel if you're planning on entering on a visa-exempt stay or with a traditional tourist visa? In theory, by the book, yes you do. In practise, many people don't and they don't have a problem. We've yet to hear of a Thai immigration officer requesting proof of onward travel at any airport or border crossing, but nothing is 100%. There is however a good chance that your airline will request proof of onward travel before allowing you to board a flight to Thailand if you booked a one-way flight or your return flight falls beyond the duration of time that you're presumed to be allowed to stay in Thailand. In these cases, many airlines will need to see a long-term visa, proof of a booked flight to another country, or something else, like a package tour booking. Explaining that you intend to travel overland to other countries may suffice, but it also may not. This is a major grey area, with many travellers reporting contradictory experiences that vary widely between airlines, airports and even individual airline check-in staff. Generally speaking, airlines operating long-haul flights from outside of Asia tend to be stricter, while budget airlines within the Southeast Asia region seem to rarely check for proof of onward travel. Some travellers have reported airline staff insisting that they must purchase an expensive return ticket before boarding; if it comes down to that, you could instead book a cheap "throw-away" ticket (for example one-way from Bangkok to Kuala Lumpur), simply to satisfy the onward travel requirement. Thai immigration has another little-known rule that travellers must display proof of adequate funds upon arrival to the country in the form of 20,000 baht (or equivalent in foreign currency) in cash. In practise, again, this request is very rare, but a few travellers reported being denied entry at Don Muang Airport in mid-2017 after they were unable to show the cash. No ATMs were available and a different form of proof -- a bank statement, for example -- was not accepted. To be safe, bring the cash. Travellers are also asked to write down where in Thailand they will be staying on the arrival card that must be submitted (and is handed out) before you can enter the country. This is rather silly, as most travellers do not stay at a single place for their entire trip, and it's not generally a big deal -- we've heard immigration officers tell backpackers to "just write down Khao San Road." But your time with the officer will go smoother if you jot down the specific name and address of a hotel, guesthouse, resort or other residence, even if you don't end up staying there. If you're looking to stay in Thailand long term, a recent crackdown on out/in border runs, multiple back-to-back tourist visas and overstays means that you'll probably want to sort out a Non-Immigrant visa. These come in several categories, including business, education, retirement, marriage, volunteer and media. Generally you need to be backed by a Thai family member, company, school or other recognised organisation, and/or be able to show proof of adequate funds, to receive a Non-Immigrant visa, which can often be extended for one year or more. Each visa type has its own unique requirements -- check the MFA link above and the sprawling expat site, Thai Visa, for more info. It's a good idea to think of the Thai visa system in these terms: Being granted admission to Thailand is a privilege, not a right. Dress reasonably and always be polite when dealing with immigration officers. No two Thai consulates and embassies treat visa issuance in the same way, and likewise no two immigration officers. Nothing is black and white, but honest travellers rarely run into problems. Losing your cool will not get you anywhere. Really. Please see the Thailand border crossing info below, or the exhaustive Border Crossings FAQ thread on the messageboard, which includes reports back from travellers. Thailand has two types of border crossings -- international and local. As you may suspect, international crossings are generally open to all foreign nationalities who are in possession of a valid passport and visa (if necessary), while local crossings are open only to locals (on each side of the border) who are able to cross back and forth using some form of border pass. The international crossings are the only ones covered in this section. Thailand has over twenty international overland border crossings. These allow overland travel to Malaysia (seven crossings), Burma (four crossings), Laos (six crossings) and Cambodia (six crossings). You can also arrive by air at a number of international airports, including Bangkok's Suvarnabhumi and Don Muang, as well as Phuket, Ko Samui, Chiang Mai, Hat Yai and Krabi. The most popular overland border crossings to/from Malaysia are the Padang Besar and Sadao crossings. To Cambodia, Aranyprathet/Poipet is the most popular, followed by Had Lek/Koh Kong. To Laos the most widely used is Nong Khai/Vientiane and Chiang Khong/Huay Xai, though Nakhon Phanom/Tha Khaek and Mukdahan/Savannakhet are also widely used. Mae Sai/Tachileik, Mae Sot/Myawaddy and Ranong/Kawthaung are all popular crossings to Burma (Myanmar). Citizens of most Western nationalities can enter Malaysia on a visa-exempt stay, while Laos and Cambodia both allow visa on arrival at most crossings. Some Burma crossings allow travellers to cross the border on a day pass that gets you access to only, say, a border market, and then turn around and head back into Thailand. But you will need to acquire a paper visa (in Bangkok, for example) or apply for an e-visa in advance to travel further into Burma. See the Thailand visa section above for details on crossing into Thailand from other countries. One thing to watch out for is Thailand's newish regulation which states that foreign travellers cannot enter Thailand overland using visa-exempt stays more than twice in one calendar year. If you'll be entering Thailand more than twice overland, you will need to get a valid tourist visa before crossing for the third time in a year. This regulation does not apply if entering Thailand by air. For those planning on visiting far southern Laos from Thailand, the Chong Mek / Vang Tao crossing is the most convenient. From Thailand a regular bus runs from Ubon Ratchathani to the border town of Chong Mek taking 1-1.5 hours. Sometimes you may be required to change buses in Phibun Mangsahan depending on the bus caught. Once deposited at Chong Mek it's a five-minute walk through each crossing and regular songthaews run from Vang Tao to Pakse, taking about one hour. Visa on arrival is available. With the construction of the Friendship Bridge II over the Mekong, all foreigners planning on travelling between Thailand and Laos at this crossing are required to use the bridge. Coming from Thailand, a bus from Mukdahan takes you across the bridge itself and on to the bus station in Savannakhet. Alternately, you can catch the bus just for the ride across the bridge and then take a tuk tuk on the other side. Visa on arrival is available. The old riverine crossing is no longer open to foreigners, who now must use the Friendship Bridge III via international buses that can be caught at the bus station in Nakhon Phanom and run all the way over to Tha Khaek. Visa on arrival is available. From Laos, follow the sign off the main road, just passed the Manolom Guest House and follow the sign that says Port. A boat across the Mekong River costs 60 baht when full (seven to ten people). Arrive in the morning to catch the day-tripping Lao crossing to shop in Thailand to be sure of a full boat, otherwise it's 360 baht per boat to cross. No Lao visa on arrival is available when crossing to the Lao side from Thailand, so be sure to get one ahead of time if you plan to use this obscure border crossing. Lao visa on arrival is available at this crossing, the most popular means of entering Laos by land via the original Friendship Bridge. The crossing is actually around 20 km north of Vientiane and a few km from the centre of Nong Khai, but regular and affordable transport is available in both directions via international buses and private tuk tuks. Beware of tuk tuk drivers on either side insisting that you must arrange your visa paperwork at a "visa office," which will undoubtedly be the office of a regular travel agent who will fill out your application form on your behalf and charge a fee, giving a commission to the driver. 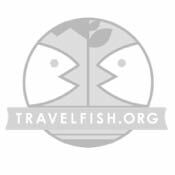 Though just about unheard of, Travelfish reader Tilapia reports it is possible for foreigners to cross at the Thai village of Ban Mo to Vientiane. The convenience being the village, just west of Si Chiang Mai, is opposite Vientiane. Less conveniently, the ferry across only goes twice each week, both days at the same time of day (6:00 pm ... so, in the dark!) Sunday and Tuesday. No Lao visa on arrival is available. This fairly remote crossing now serves a daily international bus running all the way from Loei to Luang Prabang. In late 2014 officials at the Loei bus terminal confirmed that foreigners may use this service, and that Lao visas are available on arrival. Songthaews also run to Tha Li from Loei, though we cannot confirm the existence of onwards transport on the Lao side. Lao visa on arrival is available at this popular crossing, which now uses the fourth Friendship Bridge rather than the old cross-river ferry boats. Expect Lao officials to charge a $1/40 baht fee for doing their job -- if you arrive at the weekend it's called a 'weekend fee'; if you arrive after 16:00 it's called an 'after hours fee'; and if you arrive on a week day before 16:00 it's called a 'processing fee'. This is by far the most popular, and the most dysfunctional border crossing between Thailand and Cambodia. Cambodian visas on arrival are available and eVisas are accepted. Crossing times can be in excess of three hours depending on the whims of the border officials, but crossings can also be mercifully fast. Poipet (the Cambodian side of the border) has a major touting problem; take care to ignore anyone who approaches you and tries to lead you to any office other than the official Cambodian border checkpoint. Also be wary of currency exchange services on the Cambodian side, which often charge extortionist rates. For more details, see the Aranyaprathet page. The Had Lek / Koh Kong crossing is most convenient for those planing on travelling between Thailand's Ko Chang and the Sihanoukville beach area of Cambodia. There are numerous reports of the Cambodian officials here being particularly troublesome and asking ridiculous amounts of money for visa on arrival -- the easiest way around this is to arrive with a visa already in hand. If you need to get to an ATM, there is one in the Thai town of Had Lek. Expect to pay around 100 baht for a moto from Koh Kong town to the border -- this should include the bridge toll. Most travellers use a cross-border minibus service, which can be arranged in Trat, Ko Chang and Sihanoukville. This crossing is convenient to Surin in Thailand and Siem Reap in Cambodia. Regular minibuses run from Surin to the border (and back) with the trip taking a couple of hours. On the Khmer side you can either grab a share taxi to Siem Reap or get to Samraong first from where you can either continue onto Siem Reap by share taxi or head east for Anlong Veng. This crossing is very convenient to Anlong Veng but little else. If you are heading to Thailand via this crossing, there is no public transport from the border to any sizeable Thai towns; you will need to hitch a ride from the border for around 20 km to a sealed road from where there is then occasional public buses, though you are better off to hitch at least as far as Route 24 along which there are very frequent buses. This little utilised border crossing is a 30-minute motorbike ride from Pailin and from the Thai side there are frequent minibuses to Chanthaburi an hour or so away. Cambodian visas on arrival are available. Close to the Ban Pakard, Chantaburi / Phsa Prum, Pailin crossing, this very little utilised border is about 45 minutes from Pailin and on the Thai side there are songtheaw services to Chanthaburi. The Ban Pakard / Phsa Prum crossing is your better bet. There are at least six border crossings between Thailand and Malaysia which are open to foreigners. Running east to west they are: Ban Ta Ba (actually at the border village Ban Ta Ba), Sungai Kolok, Betong, Sadao, Pedang Besar, Wang Prajan and Langkawi. The four most popular crossings are the boat crossings to Langkawi and land crossings to Pedang Besar, Sadao and Sungai Kolok. The crossings at Sadao and Pedang Besar are open 24 hours, the others, daylight hours only. This tiny crossing is a few kilometres south of the Thai town of Tak Bai in the far south of Narathiwat province. From Ban Ta Ba it is easy to arrange onwards transport by songthaew to Tak Bai, Sungai Kolok, Narathiwat and further afield. On the Malay side there are regular buses to Kota Bharu. If you're heading to the Perhentian Islands, this crossing is closer to Kota Bharu than Sungai Kolok. The Malay frontier is around 7 km and is easily reached by share-taxi from Betong town. We've never crossed here so can't help on the niceties on the Malay side. This is one of the most popular crossings used for visa runs in southern Thailand, but for onwards travel it isn't a great choice because of lack of transport on the Malay side. From Sadao, in Thailand, it is straightforward to take a bus or songtheaw onwards to Hat Yai. This crossing is open 24 hours. Better than nearby Sadao, Pedang Besar can be reached by bus, train or taxi from both sides. Like Sadao, this crossing is open 24 hours and can be easily reached by minibus from Hat Yai. If you're crossing on the train, you will need to disembark to clear customs. A pretty obscure crossing, Wang Prajan is near Thale Ban National Park in Satun province -- in fact the park entrance is walking distance from the border. Irregular minibuses run from Satun to the border and continue to Kuala Perlis. However you may be better off taking a boat from Satun to Langkawi or heading to Hat Yai for a transfer to Padang Besar. This crossing entails catching a boat from either Thammalang pier (six km south of Satun) or the island of Ko Lipe, and on to the Malaysian island of Langkawi, or vice versa. The nearby boat crossing between Thammalung and Kuala Perlis in Malaysia is now open only to Thai and Malay citizens. Easily accessible by bus in both directions, this hectic crossing can be used for onward travel into Northern Burma if you have a valid visa, or for quick border runs that utilise a day pass and only allow access to the Tachileik border market. Coming from Burma, it's a good way to enter Thailand if you're heading to Chiang Mai, Chiang Rai or onward to Laos. See the Tachileik page for more info. Opened to international travellers in 2013, this crossing has become a popular option connecting Central Burma to Thailand's lower North. You can walk across the Moei River via the short Thai-Burma Friendship Bridge and catch readily available transport on both sides, but be sure to have a Burma visa ready beforehand if heading that way. See the Myawaddy page for details. Handy for going between Bangkok and Dawei on the Andaman Sea coast in Burma, this litte-used crossing is 70 km west of Kanchanaburi and about the same distance east of Dawei, but it takes much longer to reach Dawei due to the terrain. Limited public transport is available on both sides; try to cross before noon or you may have to wait a while. E-visas and day passes are not available, so you'll need a paper Burma visa in your passport if coming from Thailand. Located at Burma's southernmost tip and the northernmost stretch of Thailand's share of the Andaman Sea coast, this border crossing is handy if you're going to/from the islands in either country. The crossing entails taking a longtail boat and, somewhat unusually, it's possible to head into Burma without a visa on a two-week pass so long as you stay within the confines of Kawthaung. See the Ranong page for more info.